- Makes Carrying Easy and Holds Your Computer Firm and Steady. Rotate 360 Degrees and Lock in Place at Various Angles. 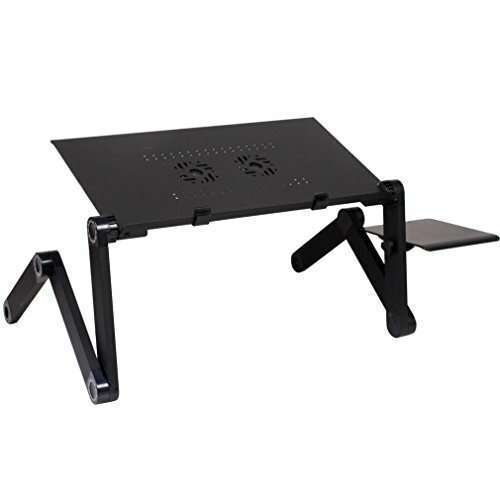 Quickly Collapse The Stand to Make it Portable. Highly functional with multiple uses. Easy storage and portability. It weights 5 pounds and can support up to 30 pounds capacity.